This bodybuilding couple from North Dakota was visiting Los Angeles for a fitness expo and decided to stay at a beach hotel in Santa Monica. 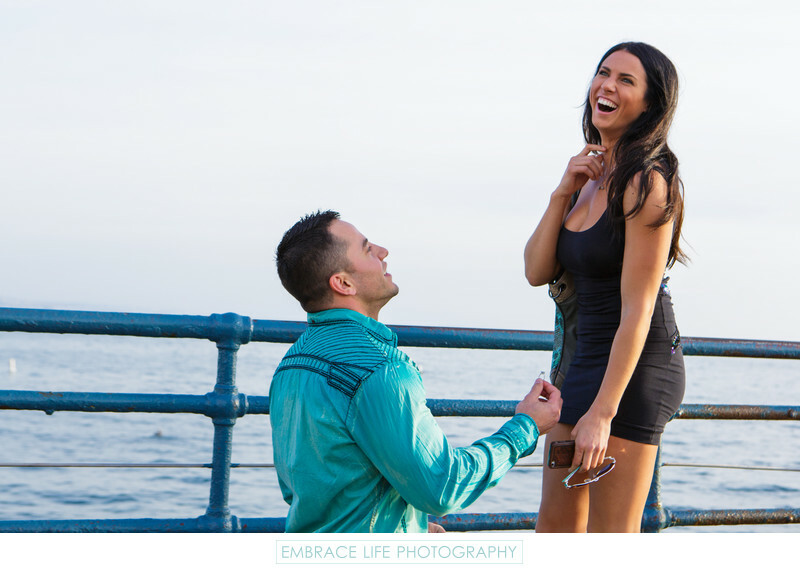 She didn't know it, but he also planned a marriage proposal on Santa Monica Pier and hired Embrace Life Photography to capture the surprise proposal. This classic proposal reaction photograph, engagement ring in hand, is one they'll cherish forever.